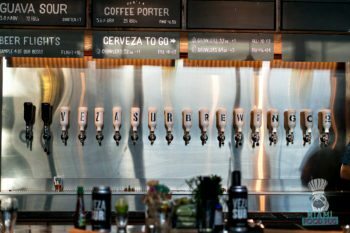 Over the years, Wynwood has been adding breweries to its lineup of local businesses. 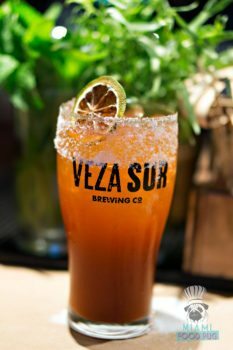 The neighborhood has turned into a beer lover’s paradise, and the addition of Veza Sur Brewing Co. is further cementing the area’s reputation for great local beer. Here’s a closer look. 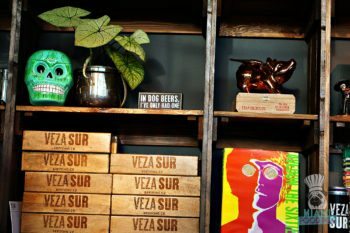 First impressions count, and Veza Sur scores a 10 with an inviting space that’s humongous. Saddle up to the spacious 40-foot bar in the tasting room, and you’ll find over 15 drafts ready for the taking. The selections run the gamut and include varieties you’ve come to know and love: porters, IPAs, lagers … you name it and they probably have it. 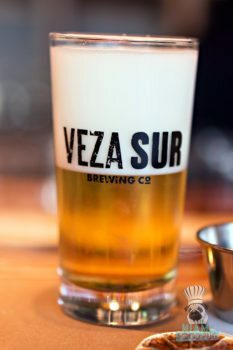 The lineup not only includes Veza Sur’s own brews, but also those of neighboring breweries. 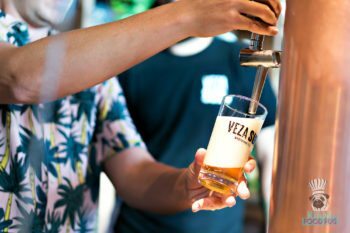 Make sure to try the Brazilian Chopp, an ice-cold lager with a head of foam that’s cool and refreshing, or one of the beer cocktails from Bar Lab. Behind the bar, there’s more than just beer. 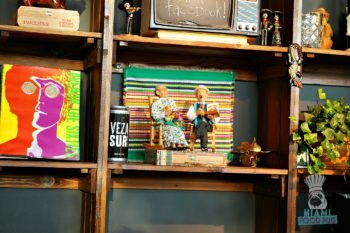 Expect to see an assortment of decor touches that are a nod to the brewery’s South American roots; one of the founding partners hails from Bogota Beer Company. 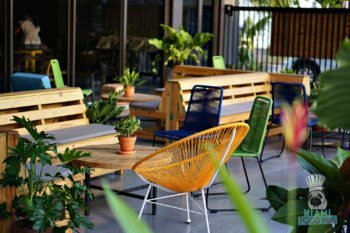 Native plants, books and memorabilia give the place a backyard vibe, and the outdoor area is a cool spot for groups on a not-so-cool Miami day. As the temperatures start to drop, we wouldn’t be surprised to see more patrons outside than inside. 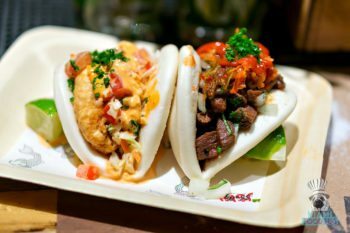 Hungry guests can take advantage of Baja Bao, the permanent food truck from the Pubbelly Boys. 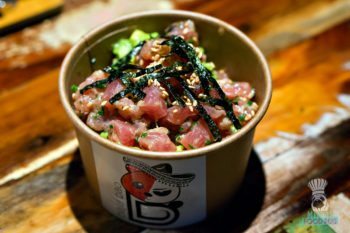 As the name suggests, bao buns are the item of choice here, but there are other options including guac, poke and tostadas. 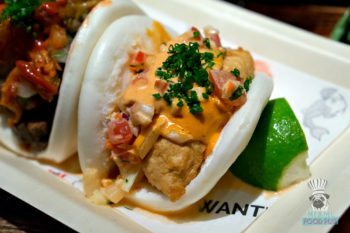 Our favorite baos included the Korean BBQ Steak and Estilo Baja (crispy mahi-mahi). Whatever you end up ordering, save room for mouthwatering creations from PB’s dessert queen Maria Orantes. 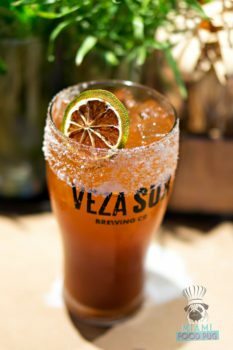 The next time you find yourself in Wynwood, pop into Veza Sur for a quick drink or stick around for a few bites. 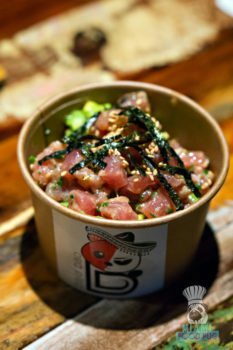 If your experience is anything like ours, you won’t want to leave. Veza Sur Brewing Co. is located at 55 NW 25th St in Wynwood. For hours of operation and more information, please visit their official website or call 305-361-3818.